Meynell Kindergarten, established in 1983 provides a comfortable and secure environment for children in a rural setting, whilst developing their social, emotional physical and educational needs with a constant emphasis on fun. 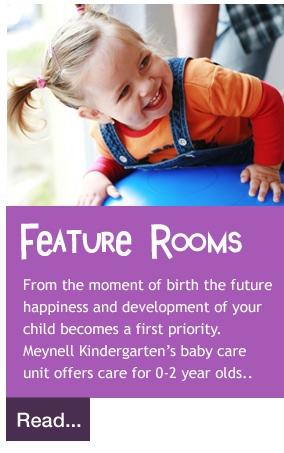 From the moment of birth the future happiness and development of your child becomes a first priority. 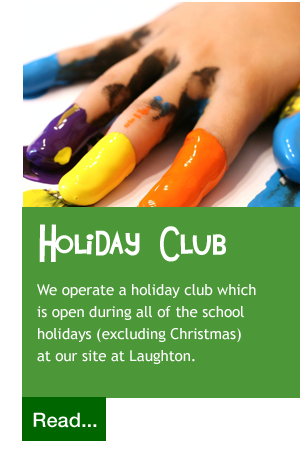 Our site based in Laughton, serving the Gainsborough area, is dedicated to provide childcare with a safe and loving environment especially designed and equipped to enrich those all-important early years. We pride ourselves on our reputation and only employ highly qualified, talented and experienced staff who are selected for their knowledge, skills, personality and love of children. We specialise in looking after children from 0 to 5 years old where growing up and learning are fun and happy experiences. Our children arrive with us from a variety of backgrounds, some straight from home and others from pre-schools, daycare providers, childminders and nurseries. We are fully registered with OFSTED. A full set of policies can be supplied upon request.